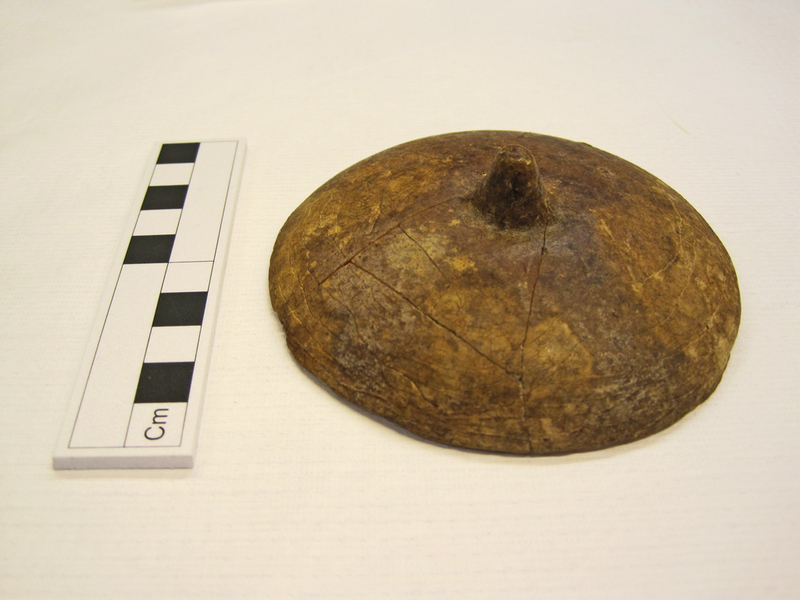 "A wax breast ex-voto, recently catalogued in the Small Blessings project, came to the conservation lab. It was in nine separate pieces and the cataloguers had assigned each piece a unique number (1985.52.1198.1-.9). My goal as a conservator is to find the best way to protect an object. In this case, the object is made from wax which, after 100 years, becomes quite a fragile and difficult material. The wax is probably beeswax, so if it gets too warm it will become easily distorted; too cold and it will easily break if dropped. The damage to the object probably occurred when it was dropped or packaged badly some time in the past, and not as a result of its use. All the separate pieces had been kept and when pieced together, there were only extremely small fragments missing. I had a choice to make. If I did not reassemble it and kept it as a separate fragments, there is the danger that with handling and transport, the edges of the wax would get damaged, squashed, and abraded. 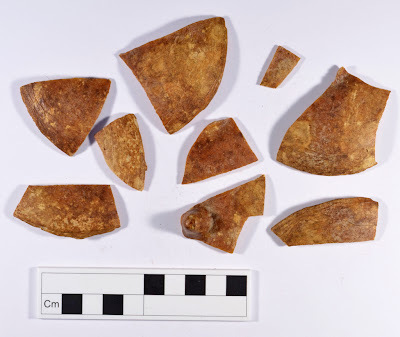 Also, as separate fragments, it is difficult to ascertain what the object actually is without having to reassemble and hold some of the pieces together which would cause more damage - especially if repeated over time. So I decided it would be better for the object if it was reassembled and packaged more suitably. I adhered the pieces together with a conservation grade adhesive, which has good aging properties meaning it won't discolour, crack, or become brittle for a long time, and can be removed easily if necessary. Now the object can be easily identified and handling is much easier and safer. We have now dropped the (1-9) sub-parts of the accession number so it is referenced as just one object. If, at some point in the future, there is a need to disassemble it back into its parts, then the special adhesive I've used means this can happen without causing any harm to the object." We have found a lot of ex-votos in the de Mortillet collection and some of these will be added to the online gallery when it is published this summer. Ex-votos (from the Latin phrase ex-voto suscepto, meaning ‘from the vow made’) were – and still are – used to solicit divine intervention or give thanks for granted wishes, prayers and intentions. They are placed as visible symbols of devotion and gratitude in churches and chapels following recovery from illness or injury and often take on the form of the diseased / affected body part, e.g. arm, leg, eyes, etc. The object shown above was one of a series of wax ex-votos from the Notre-Dame de Hal church in Belgium. It was probably made in relation to an affliction such as breast cancer although we do not know the particulars about the sufferer or what happened to her. 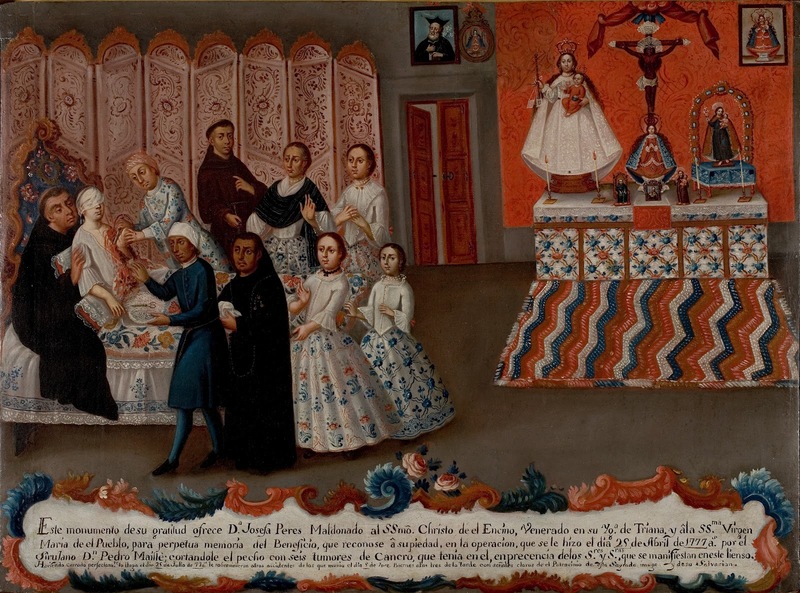 A similar scenario is depicted in this late 18th-century Mexican votive painting, now cared for by Wellesley College near Boston but once owned by the French Surrealist painter André Breton. It shows an aristocratic woman, Doña Josefa Peres-Maldonado, undergoing rudimentary breast cancer surgery. She's attended by a monk, a surgeon, his assistant and her household retinue. Her calm expression may indicate how her faith and piety are helping her overcome the pain. The painting follows the usual format for these devotional artworks: usually done on on canvas or tin, the scene is horizontal with central images illustrating the petitioner and the nature of his or her illness or ailment (as here, often in graphic detail); an image of a saint or holy figure near the top (here, atop a private altar); and a written description and testimony below. Written in Spanish, it tells of the woman's gratitude for the successful removal of six cancerous tumours from her breast. However, below this in smaller text was added the following sometime later: "Although the wound closed perfectly on 26th July 1777, other accidents befell her from which she died on Friday, 5th September at 3pm." 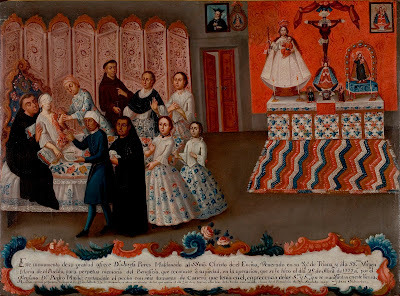 The tradition of Mexican ex-voto paintings, introduced by Spanish settlers in the 16th century, continues today and many are to be found in Mexican churches. The subject matter remains largely connected to issues of health and well-being, but the context is often more modern and personalised - for example, requesting miraculous intervention in cases of alcoholism, bankruptcy, natural disasters or car accidents.